Zethus is a sorcererâa self-described spiritual thug for hire. 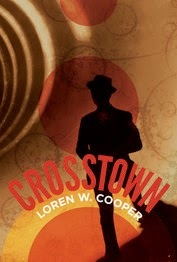 He makes his living in CrossTown, a place where the manyworld hypothesis of modern physics manifests itself, where possibilities and probabilities overlap. Caught up in a web of intrigue as he investigates the death of his master, Corvinus, and pursued by agents that want to erase all knowledge of Corvinusâ work, Zethus discovers that the key to his masterâs murder lies in the last project he had pursued before his death. The roots of this project lie deep in the past, at the origin of CrossTownâs fractured reality. Once he understands the stakes, Zethus must make the dangerous journey to the cradle of history. The price he must pay to find the answers he seeks will threaten everything he holds dearâincluding his own humanity.